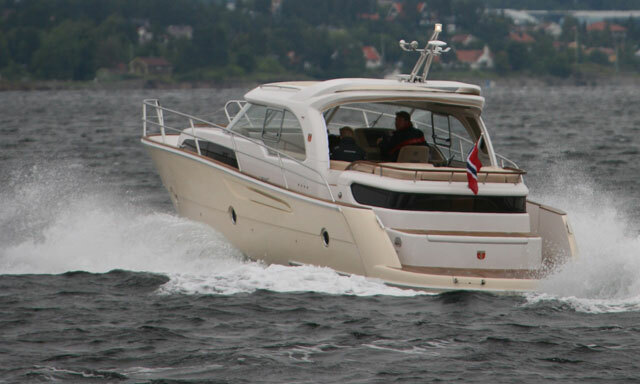 Back in the Autumn of 2008, I found myself in Norway at the helm of a bold new Marex prototype known as the 370 Aft Cabin Cruiser. Beside me was the craft’s designer, Espen Aalrud. He was aware that his new boat was a little flabby around the edges and would need to shed a few pounds before it achieved the dynamic excellence to which it aspired, but he already appeared to have hit upon the kernel of something particularly special. 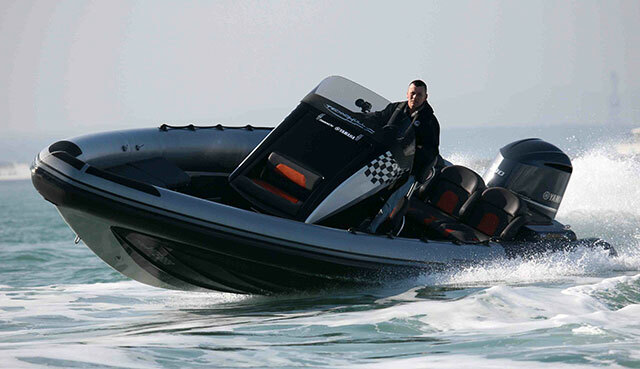 Marex 370 ACC makes full use of the space astern the helm position to accommodate owner. 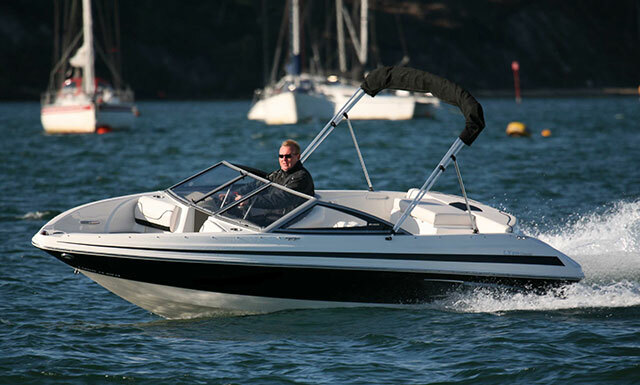 In the vast majority of cases, a small to medium sized planing powerboat accommodates the primary cabin at the front end - and that’s quite a curious phenomenon. After all, the forward space in any fast craft is tapered to cater for the demands of splitting a seascape with minimal slam. That makes it confined and therefore compromised as a location for the skipper to sleep. Of course, the reason why designers of small boats accept this compromise is that there is nowhere else for the cabin to go. The stern is occupied by the engine and its assorted offshoots and the middle section is given over to the helm and the external accommodation. 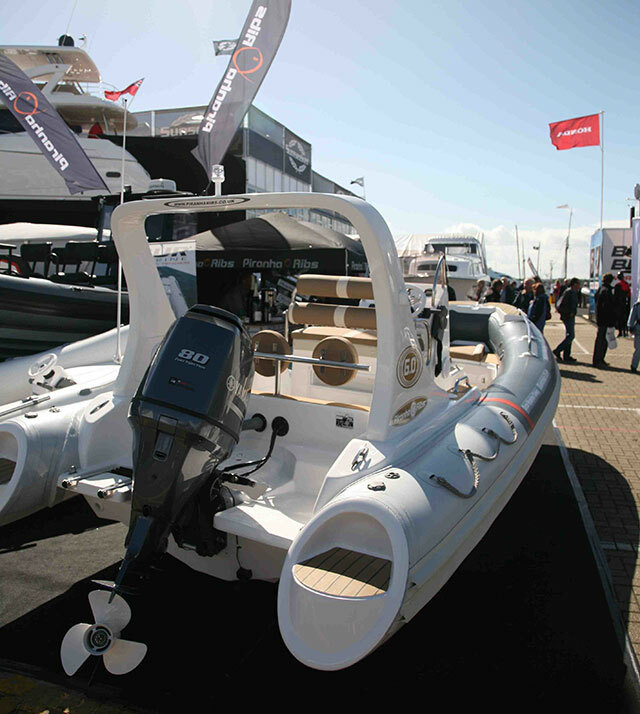 But when a craft reaches nearly 40 feet in length, with a shaft drive out of sight beneath the hull and an engine hidden amidships, the back end of the boat is freed up for more ingenious uses - and it is precisely this happy situation that the Marex 370 so effectively exploits. 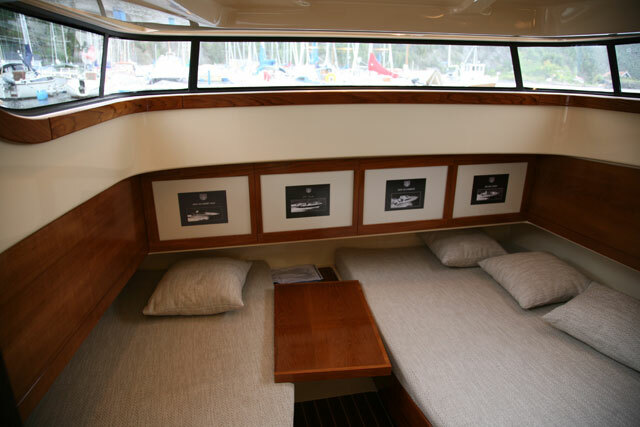 The aft cabin is broad with spectacular views through the curved wrap-around windows. In addition to a fairly standard cabin at the front end, there is a broad, deep attractively curved aft space, with a wraparound window giving spectacular views on three sides. It’s a gorgeous place to be and the feel-good sensation continues when you step up into the cockpit. Here, with the concertina roof in place, the Marex is essentially a 37-foot residential cylinder of the very highest quality. The steamed ash trim is stunning, as is the custom metal work. Those who know boats are, of course, accustomed to seeing craft of great excellence wafting imperiously south from the furthest reaches of Scandinavia - but even by Norwegian standards, this is a boat to relish, with a profound artisan calibre that you just can’t ignore. 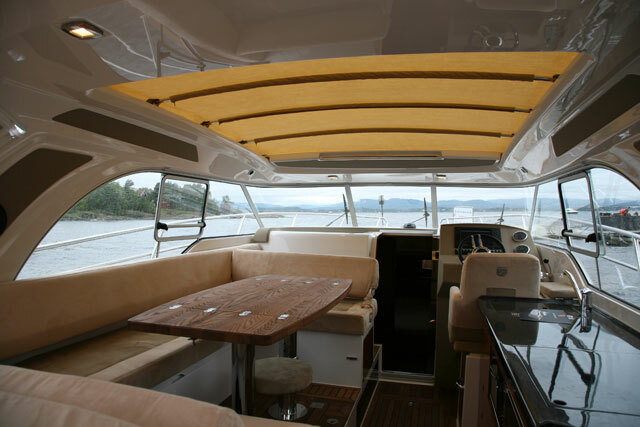 The interior features stunning steamed ash trim - Scandinavian design at its best. 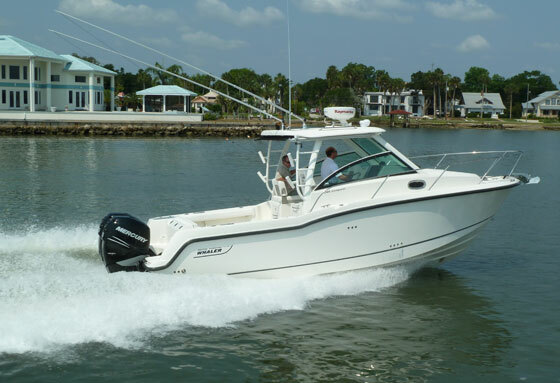 The inclusion of a pair of cabins, one fore and one aft, is by no means an easy thing to conceal inside the lines of a powerboat without destroying its shape with ungainly bulges. And yet the 370 is a fine looking boat. There is no great theatre to the aesthetics of course, no extravagant vents or raked windows, no glossy trinkets to conjure up fresh drama. It’s just a fine looking, beautifully balanced and attractively understated cruiser. It is easy to imagine that a shape as well resolved as this is just the latest regal manifestation of a time-honoured Marex bloodline - and yet this Norwegian boat builder seems entirely unconcerned by the idea of a thematically integrated fleet. On the contrary, its current portfolio of seven craft actually looks more like a collection of precocious experiments than a coherent family of craft. At the bottom of the line-up is the splendidly squat and delightfully named 21 Duckie. 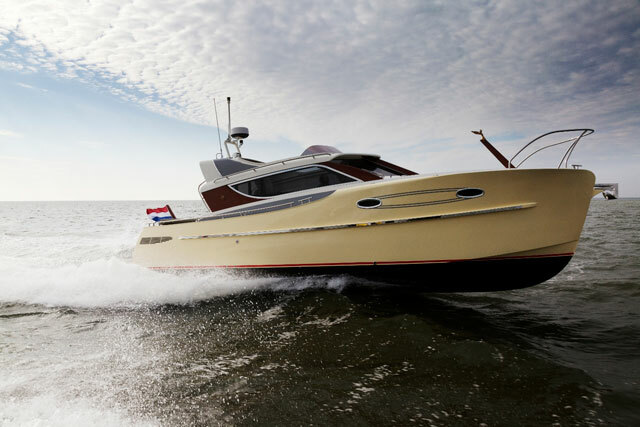 Above that, the overtly sporting 270 Estremo lends the range a dose of ‘Hunton-style’ spice, before the angular 280 Holiday throws a bit of a curve ball into the mix. There then comes a trio of sports cruisers (in the form of the 300 and a pair of differently configured 350s). And finally at the top sits the 370, presiding over the family like a lordly squire at a gathering of talented freaks - the undisputed flagship of the modern Marex marque. 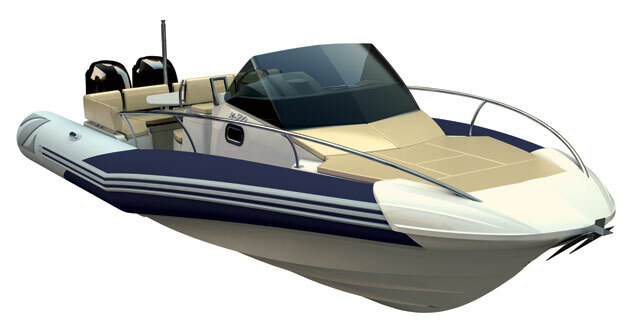 The Marex 370 Aft Cabin Cruiser: the undisputed flagship of the Marex range. 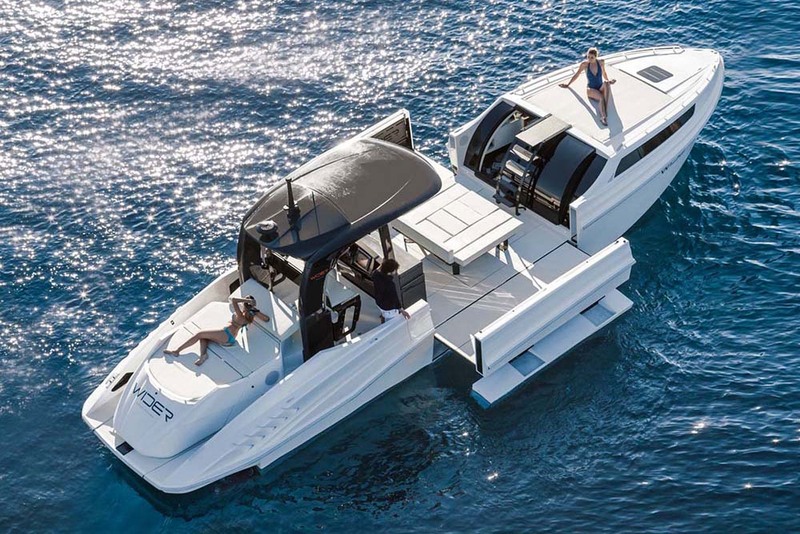 Since dropping 20 per cent of its weight and gaining the ability to hit 30 knots with a single 435hp Volvo Penta D6, the 370 has won a flurry of awards, including the prestigious European Motorboat of the Year. And with great independence of thought and phenomenal attention to detail, it is a very well deserved accolade. It marries top class materials with stylistic elegance and a profound (and extremely rare) integrity of design. In fact, from stem to stern, it is about as fine a blend of craftsmanship, comfort and desirability as you are ever likely to encounter. 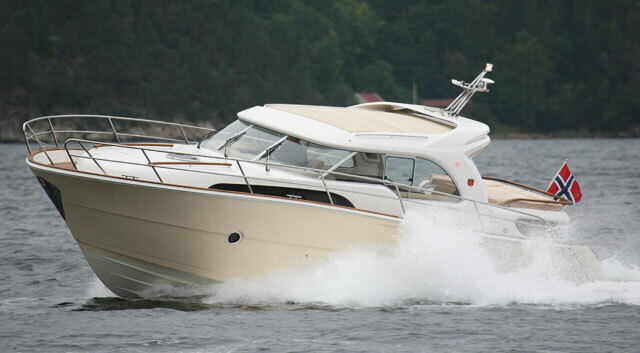 Espen Aalrud has been responsible for some marvellous boats in his time but none of them are better than this. For more details contact Wessex Marine or see Marex.